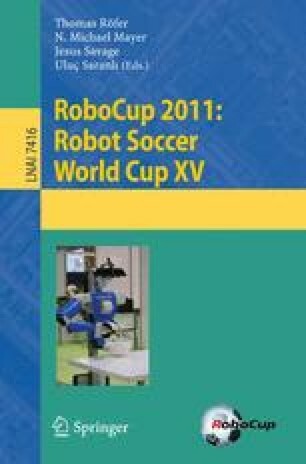 In this paper, we present a walking approach for the Nao robot that improves the agility and stability of the robot when walking on a flat surface such as the soccer field used in the Standard Platform League. The gait uses the computationally inexpensive model of an inverted pendulum to generate a target trajectory for the center of mass of the robot. This trajectory is adapted using the observed real motion of the center of mass. This approach does not only allow compensating the inaccuracies in the model, but it also allows for reacting to external perturbations effectively. In addition, the method aims at facilitating a preferably fast walk while reducing the load on the joints.